Frequently Asked Questions about our rescue. If you don’t find the answer here or on our website, we welcome your emails and phone calls! Where is Young at Heart located? Young At Heart does not have a shelter facility, but saves lives through the use of donated boarding and foster homes throughout the Chicagoland area. We have a small donated adoption centers for cats inside Best Friends Pet Care in Prairie View, IL and Petco in Lake Zurich, IL. In 2017, we will be opening Chicago's first adoption center and sanctuary specifically for senior dogs and cats on 8 acres we purchased in unincorporated Woodstock, IL. Are you “no-kill”? Yes. The pets in our programs stay with us until they find a forever home. However, should a pet become terminally ill, dangerously aggressive towards people, or it has a poor quality of life, we do have the right to humanely euthanize so that none of the pets in our care become a danger to society or suffer needlessly. We give our seniors every chance we can provide, whether it be through veterinary care, veterinary specialists, trainers and behaviorists, or alternative therapies- if there is something that may help one of our homeless animals, we go for it! What kind of animals does Young at Heart have for adoption? 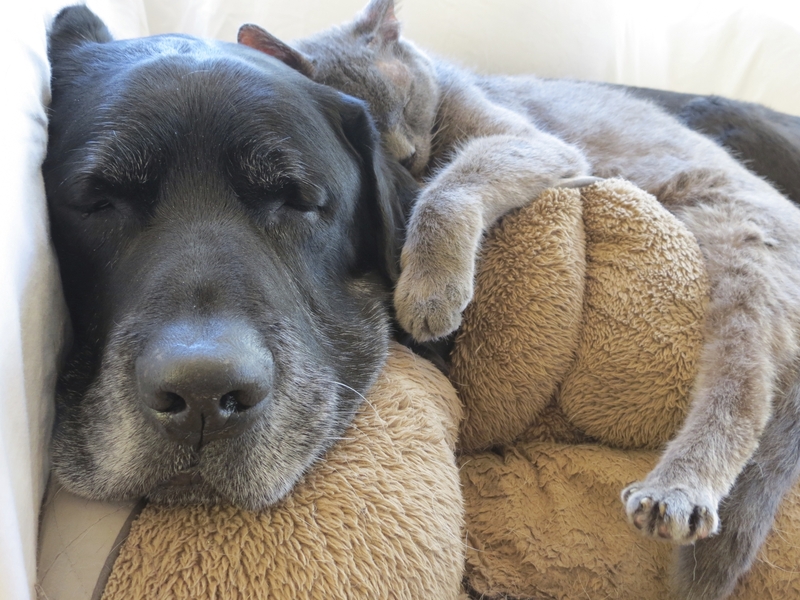 Young At Heart works hard to place mature and senior dogs and cats into loving homes. The majority of our dogs and cats are between the ages of 7 years old and 12 years old, though we are happy to see an increase in the average age of our pets being adopted out each and every year for 5 years in a row. In 2016, the average age of our adopted pets was 10.8 years old. Why do you have so few pets for adoption? We are a very small organization, and can only be as big as our foster home network allows. A foster home network is an ebb-and-flow situation, and at some times is bigger than others. We also strive to stay small, so that we may provide excellent personalized care to each animal, and so that each animal that comes into our care does not know it’s in a “rescue”. Our motto is Quality over Quantity so that we may provide every senior pet in our care the same high quality care we would provide our own personal companion animals. We stay small enough so that each dog or cat in our care gets ample one-on-one time, playtime, lap time, and the basic human contact that many animals just cannot receive in larger organizations. It is very important to us that the dogs and cats in our care feel loved, are happy, and are well-adjusted when they go to their forever homes. If you are interested in helping us save more lives by fostering, please take a look at our fostering information and application. I saw a pet I’d like to meet. Now what? Please fill out our online adoption application. This must be done before meeting any of our dogs, as they are located in private foster homes, and it helps ensure that the dog you fell in love with online is a good match for you in real life. You may meet our cats at your convenience during Best Friends Pet Care’s or Lake Zurich Petco’s business hours, but a “go home” appointment will not be set up until an application has been received and approved. Once the application is approved, we will call or email you to set up an appointment to meet the pet of your choice. Having problems with our application? Call or email us, and we’ll be happy to help! The adoption fee includes all vaccinations, heartworm or feline leukemia test, microchip, spay/neuter, geriatric panel, and for dogs, a collar and leash. You receive a copy of any and all veterinary records we have on our adoptable pets, including bloodwork results. All of our pets also come with a 14-day adoption trial period and a “Home for Life” policy which means that you will never have to worry about what happens to your senior pet should you not be able to care for him/her any longer- we take them back into our program with open arms, no matter the reason. Our seniors have a home for life with Young at Heart. I need to give up my pet. Will you take it? No. We only accept pets from “open door” municipal shelters that have to euthanize for space/time constraints and animal controls from within Illinois. We do not accept pets from the public, no-kill shelters, or other rescues. We do provide free courtesy listing services for 60 days on our Courtesy List page for pets belonging to private parties, and other shelters or rescues. To courtesy list a pet, please email webmaster@adoptaseniorpet.com with subject line “COURTESY LISTING”, and include the pet’s jpeg photo, bio, and contact information. Young at Heart is not responsible for any pet listed on the courtesy list page. I would like to foster a Young at Heart Pet. What do I need to do? Please go to our foster page and fill out our foster application to get started! We’re happy to answer any and all questions. We love our foster homes, and would love to have even more! We know fostering for the first time can be a scary experience to jump into, and we make sure that we are available to you for questions, concerns, and problems that may occur. You are also welcome to speak to any of our current or past foster homes to get their take on fostering for Young at Heart, right from the source. Please note we do not have a “foster-to-adopt” program. What if I adopt a pet, and it doesn’t work out? All of our pets are accepted back into the rescue unconditionally, and your adoption contract requires that you bring your pet back to the rescue should you no longer be able to care for it. When you first adopt a pet, you have a 14-day money-back return period. All of our pets have a home for life with Young at Heart, so you never have to worry about what will happen to your senior pet should something happen to you or should you no longer be able to care for him/her. I would like to make a donation. What does the rescue need most? A current wish list is kept here, and updated as our needs change. Monetary donations allows us to provide the animals with whatever they need. Veterinary bills and medications are our highest cost. Any donation is greatly appreciated by the rescue and our animals, and because we are a 501c3 not for profit organization, your donation is tax-deductible as allowed by law.